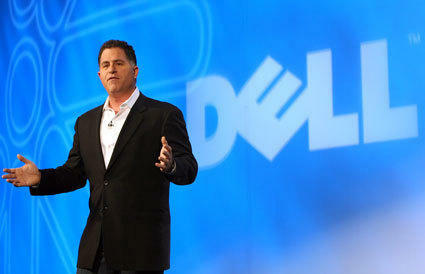 Michael Dell is smiling again as the Blackstone fund lost its proposed acquisition of Dell. After Carl Icahn has agreed to reduce its stake, offering the founder finally becomes a priority. The purchase of Dell is a sacred quagmire. A few months ago, Michael Dell and the investment fund Silver Lake launched a comprehensive plan to repurchase shares to take control of the Texas builder, laying out the value of the award. An ad that does not please everyone and that was mostly considered too unattractive, with a proposal to 13,65 $, for the largest shareholders. The announcement was so bad last that billionaire Carl Icahn was also a bid to the manufacturer. For his part, Blackstone did the same. Today, we learn that he finally threw in the towel. As for the American billionaire, he agreed to reduce its stake in the group up to 10%, but especially not to play troublemakers. The Blackstone invoked a PC market too dangerous and unstable, a good reason too insufficient to be taken seriously elsewhere. However, this is how the joint bid of Michael Dell and Silver Lake becomes a priority. Without another offer to make weight in the balance, it could well win the favor of small shareholders. Because even if the most influential are not in agreement, without weight support their opinion is now much less.